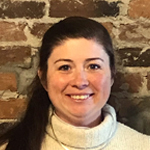 Elizabeth Emmons graduated from Vermont Technical College in 2001 with a degree in Architectural Engineering Technology. Elizabeth is a benefit during a project for her broad range of engineering experience, including mechanical, civil, process and permitting. Elizabeth has also gained experience in surveying and construction inspection. Elizabeth possesses a tremendous amount of knowledge in the latest engineering software, such as AutoCad Land Desktop, AutoCad Civil 3D, AutoCad Building Systems, ArcGIS, and HydroCad.